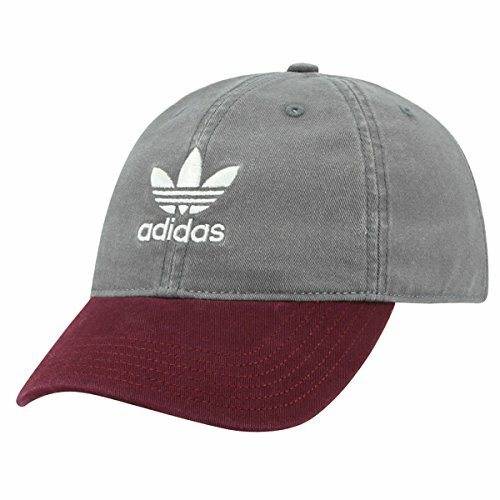 adidas Men's Originals Relaxed Strapback Cap | What Should I Say? 6 panel crown with medium recurve brim. Strap back closure in cotton twill. Lofted embroidered trefoil logo. 100% cotton canvas.